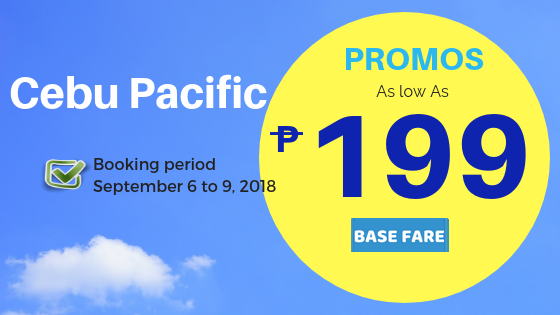 The promo offered by Cebu Pacific Air starting today is as low as 199 pesos on base fare prices. 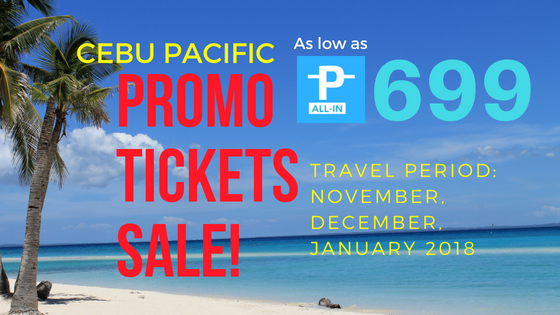 Lots of destinations and routes on sale. 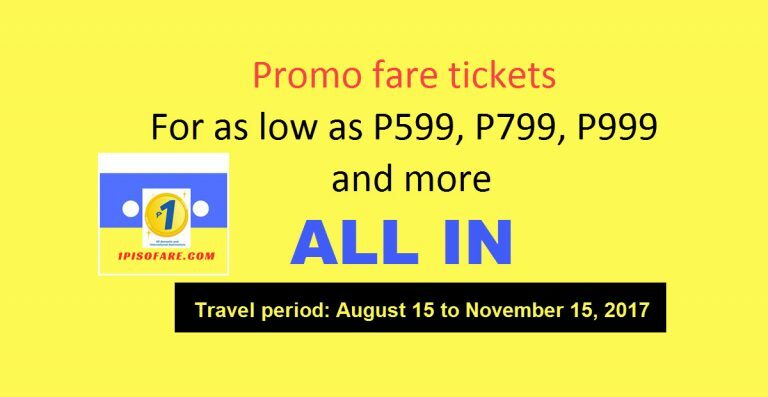 No promo code required to book and buy tickets. 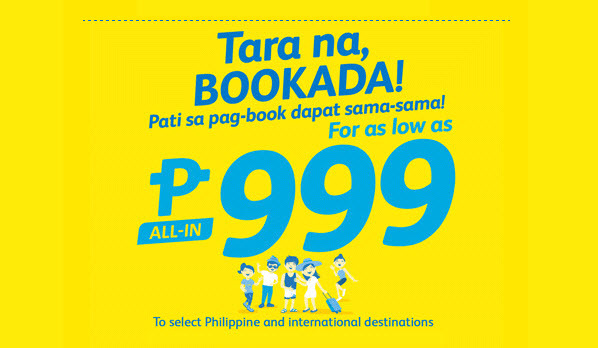 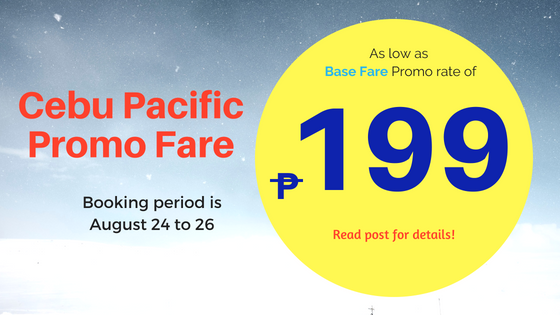 Cebu Pacific Promo as Low as 199 PESOS* | Lots of Tickets On Sale!